The Pirate Empire: The Point of Piracy. 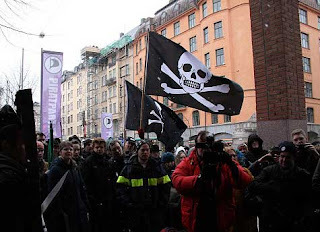 Who were pirates protesting against? It’s no secret that the pirates of the Golden Age were in a state of rebellion. “At war with the world” is the phrase used sometimes. But what exactly were the pirates rebelling against? Were they in fact fighting everyone? The first thing to note is that many Golden Age pirates considered themselves loyal members of a nation. Benjamin Hornigold, for instance, strongly resisted attacking English shipping, as he considered himself a loyal subject of the English Crown. The statements that pirates were in rebellion against the “natural order of the world” and hence against “everyone” were mostly written by The Powers That Be… businessmen who controlled the information distribution of the time. These people – owners of Corporations and Insurance Companies that were the entities being robbed by pirates, had a lot to say about pirates. But they had a definite conflict of interest. In short, they are not reliable sources. We have specific examples that indicate that it was corporate interests, rather than governmental or social ones that inspired pirate rage. 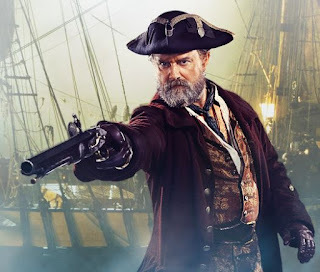 When Sam Bellamy, a pirate captain on the rise, captured ships owned by private individuals, he did not simply take the ship and its cargo. He offered her captain ownership of his own previous flagship and some cargo of value, in addition to a cash payment, in exchange for the privately owned vessel and its cargo. To me it seems clear that, while Bellamy didn’t mind robbing a corporation, he did not want to deprive a private ship-owner of his livelihood. Speeches by other pirates make it clear that pirates were fighting against an economic system, not a government. Pirates were also entirely neutral on the subject of religion. Their ranks included Christians (both Catholic and Protestants), Jews, Muslims, Native Americans, and unconverted Africans. These people got along in peace because they did not try to convert each other. While the rest of the world was engaging in religious wars, pirates were practicing tolerance. 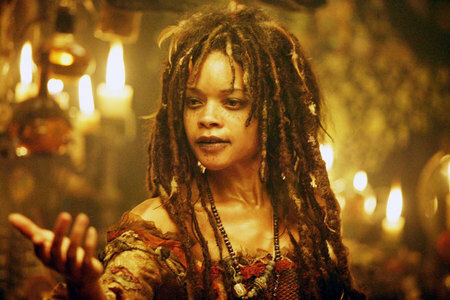 Just as pirates had little conflict between religions they seem to have had little conflict between races. As we have seen before, crews that captured slave ships often incorporated the newly freed slaves into their crews. This is especially impressive because these slaves were not skilled as sailors. Skilled mariners of all kinds had a fine contempt for anyone who did not know how to sail. They had reason for this. The skills necessary to sail a ship took years to learn, and untrained workers were a danger to others on a ship. But while the “establishment” sought to drive sailors apart by paying them varied rates based on even the most trivial of differences in skills or experience, pirates recognized only a few pay-grades. 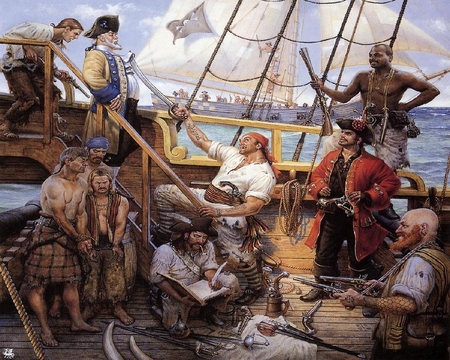 Recent additions to a crew, whether skilled or unskilled, whether European, African, Native or even Asian, were fairly paid. Often equally paid. Pirated did not differentiate by race. On the subject of women, we have less information. Nothing like “women’s rights” existed in the 18th century. Women had no rights. We do have a few clues, however. The very rare female pirates – Anne Bonney and Mary Read, seem to have been accepted in their own crew. Witnesses to the pirate’s crimes say that both women seemed to operate on an equal footing with male crew. Prostitutes loved pirates, to a greater degree than even their free-spending ways would suggest. They came from all over to work in the Caribbean, and the pirates seem to have treated them well. 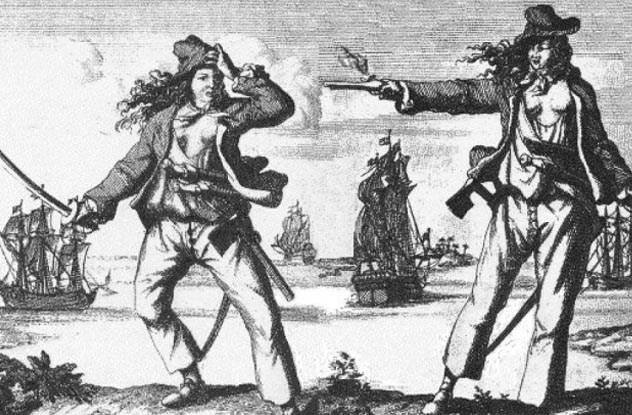 And since prostitution was virtually the only work open to women in the 18th century, we can safely say that pirates supported the idea of “career” women. And last but not least, pirates were accepting of homosexuality. In fact, they practiced a form of gay marriage in which two men joined in a pirate-legal union that included property rights and inheritance, as well as sexual expression. This is especially impressive considering that the rest of the world punished homosexuality with death. So pirates were 18th century liberals, supporting worker’s rights, minimum wage, universal health care and personal freedom. The point after all, was to have a happy life. Hi, I'm studying English at the moment and doing a module on 18th Century literature and have found some things I could use in my work. I was wondering what your sources were for these? Some of the opinions stated are my own, but my main sources for this post are the books The Republic of Pirates by Colin Woodard and Between the Devil and the Deep Blue Sea by Markus Rediker.